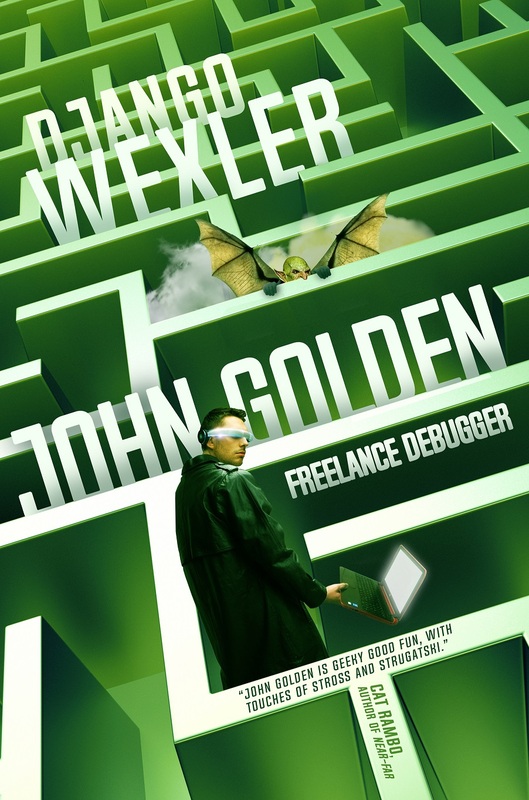 JOHN GOLDEN IS A DEBUGGER: he goes inside the computer systems of his corporate clients to exterminate the gremlins, sprites, and other fairies that take up residence. But when he gets a frantic call from Serpentine Systems, a top-of-the-line anti-fairy security company, John finds out he’s on much more than a simple smurf-punting expedition. With the help of his sarcastic little sister Sarah (currently incarnated in the form of a Dell Inspiron) and a paranoid system administrator, John tackles Serpentine’s fairy problem. But the rabbit hole goes deeper than he thinks, and with the security of all of the company’s clients in danger, there’s more at stake this time than John’s paycheck! New covers by @InkSpiralDesign !